Available Friday! 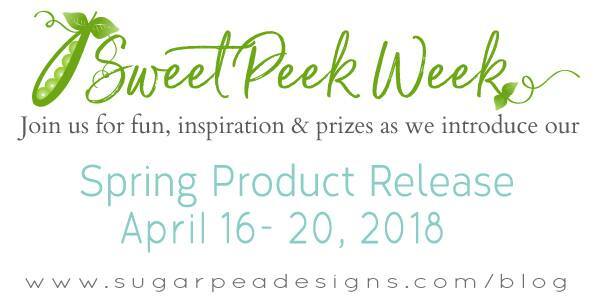 ~ View this week’s Sweet Peeks! Today you’ll see sweet rabbits Carrot Friend (Stamp and Die) and wonderful Eyelet CoverPlate. I’m happy to share with you one more project from the new relise of SugarPea Designs. Today we introduce amazing sets: Reading Friends; Simply Fabulous; Fabulous Word die. First of all I stamped Reading Friends set and colored it with alcohol markers. After that I cut out the image with scissors. Using paper knife I cut out the frame, which became the base for shaker. Heat embossed the sentiment on vellum, using silver powder. Stuck it to the lower part of frame. Put the card together. 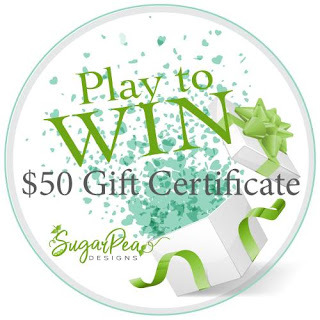 Would you like to win a giveaway from SugarPea? 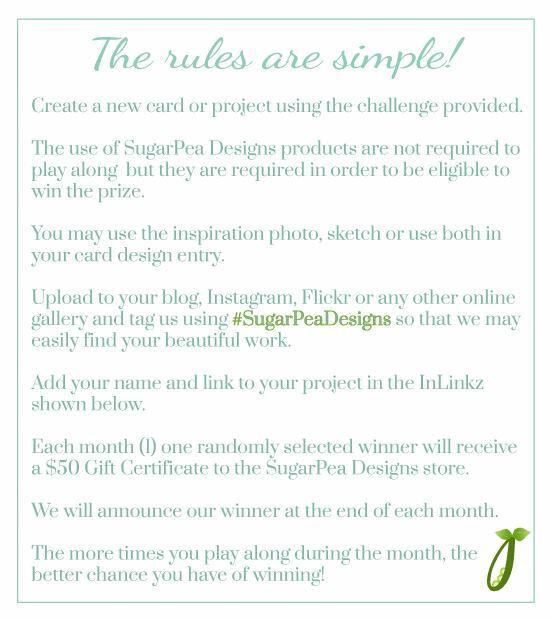 Just visit the design team and SugarPea Blog; comment for your chance to win! Today LondonScape; ParisScape and Chic Wishes sets will be present to you. The card turns very simple but nevertheless not devoid of charm. First I inked with Distress the panel. Then, using paper knife, I cut out the frame. Next, cut out the landscape of white cardstock with LondonScape die and fit it to the frame. Heat embossed the sentiment from Chic Wishes set using white powder. Put all the details together. Today we introduce wonderful sets: Oh La La (Stamp & Die); Parisian Holiday (Stamp & Die); Postage Stamp Cover Plate. I use vobler in my work for the very first time, but as soon as I saw wonderful Parisian Holiday set I understood, that I want to try to do it very much. First of all I stamped Parisian Holiday and Oh La La sets and colored everything with Touch Twin and Copic Sketch alcohol markers. Then, using coordinating dies, I cut everything out on my Big Shot. Inked the panel with Distress in 2 shades – tender pink and biege. Next I cut out one more panel using Postage Stamp CoverPlate. Stuck this two panels together, put minor details on foam tape, stuck vobler with the main heroine in the middle. Decorated with sequins and drops. Welcome! 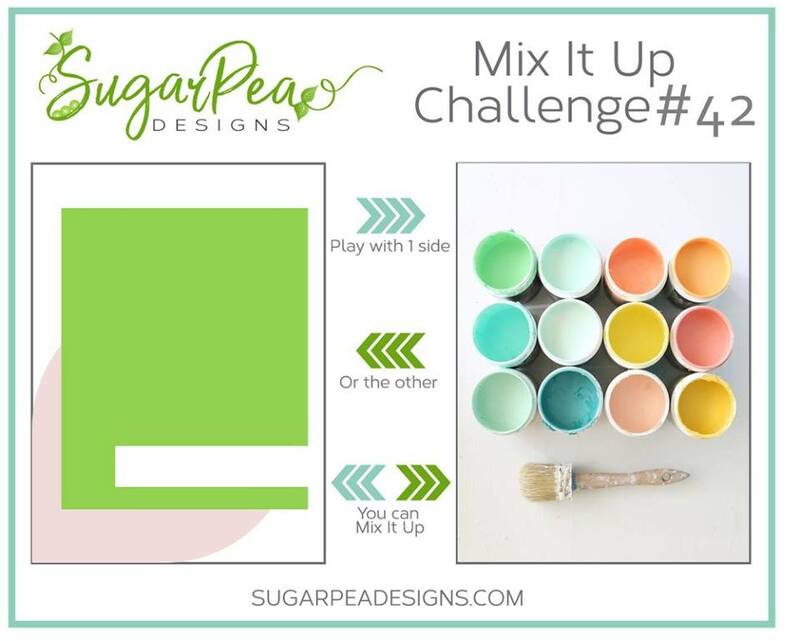 I am here sharing a card using the April Mix it Up Challenge from SugarPea Designs over at the SugarPea Designs blog. Make sure to check out the blog for all the details! Hello, everyone. Natalia is here. And today I will show the card with Whimsical Town set. I’d say without exaggeration, this card became one of my favorite. First, I like the thematic of houses, second – it’s just nice. I inked the panel with Distress inks. Next I stamped Indian Summer set and colored it with alcohol markers. Cut everything out with coordinating dies. As I have no cover plates, I made necessary panel by myself with paper knife, metal ruler and pencil. (If you don’t want to waste your time for it, you can easily buy cover plates at SugarPea shop). After that I made the base for shaker with two windows and stuck it to the first panel, filled both windows with sequins. Stuck the sheet of transparent plastic and “striped” panel above. Put the raccoon at foam tape. Heat embossed the sentiment from Easily A’Moose’d set on stripe of black cardstock using white powder. Stuck it to the card with adhesive tape. And that’s it. Hello everyone! Natalia is here. And today I would like to show you simple but very attractive card made with the Best Friends Set.